How To Place Your Name Change Ad In Newspaper? At first, you will have to draft an affidavit for name change, print it on Stamp paper of state recommended value and get it attested by a Notary Public. Hoping that you have already taken the first step, we would like to guide you on the second prime step, which is Newspaper Publication of your name change ad. Here’s how you do it. 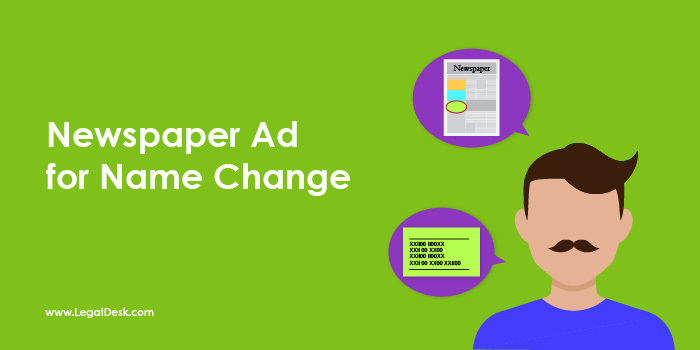 The name change ad placed in newspapers is mostly one big sentence which contains all the details related to your change of name. So kindly make sure that nothing important is skipped in the ad. Also double check the spellings and numbers mentioned in the ad. Given below are few samples of name change ads published in newspapers. After placing a newspaper ad about your name change, the next big step you will have to follow is to send your affidavit, newspaper ad original copy along with several other things required for Gazette Publication. To know more about the Gazette notification procedure and things to enclose with your application, please go through our article on Name Change Procedure in India. 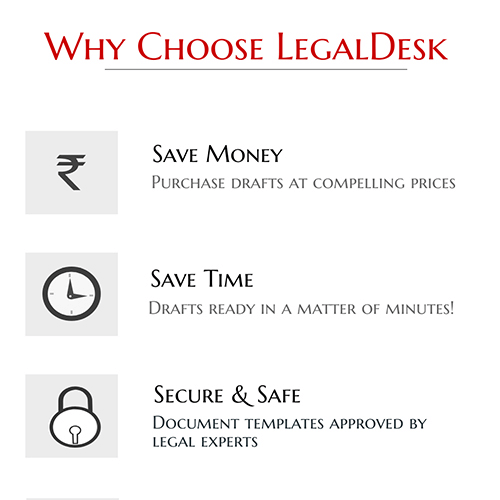 If you don’t want to spend your much valuable time and effort in carrying out all these tasks to complete your name change procedure, LegalDesk is glad to help out. You can avail our Name Change package and we will complete most of the tasks involved. To avail our service, please click on the button below and place an order. If you are worried about what details to include in your name change ad in newspaper, then LegalDesk offers you the most easiest solution. All you have to do is click the button below and fill in your details. You will get a copy of what has to be published in an instant, plus it’s free of cost.